“She got up from her desk when her baby started to get fussy. She sat down on the floor, breastfeeding the infant, and kept filling out the answers to the test.” (Buzzfeed). She reportedly told the lecturer Mr. Erfan that she is worried about the cost of education and that the University is 8 hours from her residence. It is the power of social media that a Go-Fund was created to support the cost of here higher education. Needless to say, girls’ determination to study is never an issue. The key barrier is the systemic patriarchy in the garb of cultural mores or religious edicts. Patriarchy is such an omnipresent barrier that hinders women in all communities and all economic strata one way or the other. And here is where the role of men becomes extremely important in bringing about women empowerment by dismantling the walls of patriarchy. Here I must share my own story too. (Bear in mind I am an urban educated woman with a strong will power. But even then, had it also not been the supportive men in my life, I may not have sailed through various systemic hurdles that patriarchal infrastructures create at every nook and corner of a woman’s life). In the early 1990s, as an Indian medical graduate I had to go through a written and a clinical exam by Pakistan Medical and Dental Council to be certified to practice in Pakistan. I opted Karachi centre. When I received notification for the exam it said the exam will not be held in Karachi as there are no other candidates. The exam will be in Peshawer. Since I lived in the Middle East, I was supposed to travel with my kids to Karachi where my in laws lived. But before I could even know and panic about how I will travel with kids to Peshawer, my husband first took an emergency leave from his hospital, and then informed me that we are all travelling to Peshawer. My husband Fasih and I, with our two kids- a toddler and a 6 month old breast feeding infant landed in Peshawar. It was a 3 day long exam- with a written paper and clinical exam. From day 1, my husband sat in the lawn of the examination centre, with two babies, as he dropped me for the exam. I would come out to feed the baby every few hours in the breaks. He ran with the baby in one hand and the toddler in another to the washroom. So the guard let him take her to the washroom. And while holding the infant in arms he helped the toddler finish the job and clean her. Finally they came back to play and sit in the lawn again. And then he smelt the baby has soiled his diaper. He ran again to the same wash room. The chowkidar got annoyed, “Ap pher se as gaye?” (You have come again?). The guard laughed and commented, “Aur parhao biwi ko.”(Let your wife study more). After day1 the entire examination team knew about my family and when I went from each viva and clinical exam, from Internal Medicine to General Surgery to ENT to ObGyn to Ophthalmology, first thing the professors asked was how are the husband and babies doing? Second question they asked was, “Where have you graduated from?”. No bragging but I passed with the top position. The head examiner was Prof Zakaullah Beg who was my husband’s professor in his postgraduate life. He himself called Fasih on phone 2 weeks later in Karachi to break the news. Moral of the story: Empower a woman and she will make her husband, family and entire community proud. Samra was flanked not by parents, but two daughters, aged 12 and seven. I wanted to know more about her, and hence invited her over to our house next evening. At home, while sipping tea, Samra shared her 14 year journey with me and I was absolutely floored by her story. In 1999, in Abu Dhabi, Samra was a brilliant 16-years-old student of grade 11, dreaming to go to a foreign university to pursue higher studies. Her only fault was that she was tall and extremely good looking – she was a dream bride. Hence when the proposal from a ‘well settled boy in Canada’ arrived, it was difficult for her working class parents to refuse. Eldest of four daughters, the parents thought this would give her a great opportunity to go aboard and pursue her dream, under the safety of her husband and in-laws. The in-laws reassured their support too. Samra refused to give up though and completed her high school courses through distance learning. Despite being a mom at the age of 18, she excelled in her high school exams and got accepted to the University of Toronto. Her husband, however, refused to support her and his good financial status left her ineligible for university loans. She tried to convince her in laws for three years but to no avail. It was not just her education; she was under strict vigil all the time. She was not allowed to leave the house, had no cell phone and was not allowed to learn how to drive. She never had a penny on herself and was constantly abused and neglected. She had left and did not intend to come back, but her husband begged her to return with a promise that he would change and that she will be allowed to study this time; he said that he realized he could not live without her. Reassured, Samra returned, only to know that once she got pregnant the second time, the physical abuse was to became worse. Things had changed. Her mother was alone now and had two other unmarried daughters to support. Samra, accepting it as fate, returned to her husband. To earn her own money, she began baby sitting in her house. As consolation to continue her work, she would give her husband some pocket money from which he would buy his cigarettes and a share to her mother in law, too, to earn their approval. The abuse was so severe, that she had to take a break after the first year. Several times she had suicidal thoughts and her self-confidence had completely shattered. That led her to a meeting with the Psychological Counselor at the university campus. She attended the sessions in secrecy and there she was informed that what she was going through was a typical cycle of domestic abuse. And that it was not her fault, or her destiny to bear it. The psychological counselling at the university, gave her the strength to get back to university. By the second year, the abuse had become worse but she had been told that she could call 911 if need be. However, by now Samra had, despite many weak moments, gathered enough strength to move out of this cyclical abuse and face what came her way. As a result, her husband was arrested on four counts of assault. Despite two court cases, three jobs and two children, she continued to excel in her studies and became head teaching assistant. Today, Monday June 10, 2013, at the official convocation of the prestigious University of Toronto, Samra will not only be awarded a Bachelors degree in Economics, but she will also be awarded the prestigious Top Student Award in Economics. She also has to her credit a dozen more awards given to her for her academic excellence in the past four years, including the prestigious John H Moss Scholarship, which is awarded annually to a single student in the entire university (all three campuses). She has also been admitted to the PhD program in Economics at the University of Toronto, with a full scholarship. When not studying or working, Samra loves cooking for her girls and gives them all the free time she gets. 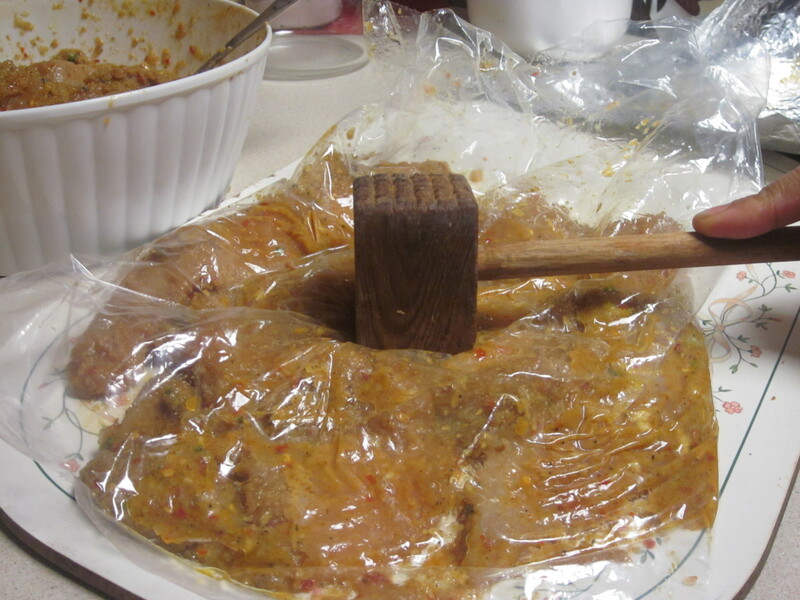 Which meat loving South Asian doesn’t relish them ? 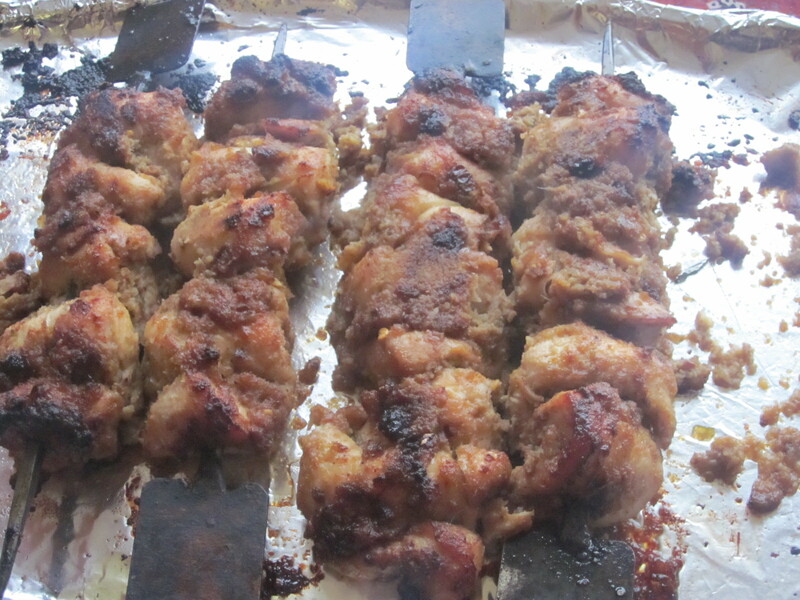 In fact, Maulana Abul Kalam Azad has called them, the ‘finest’ kebabs in his food memoirs. I grew up watching on very special occasions, my mother prepare and barbeque these Kebabs very diligently on and with much effort, on a charcoal grill. All I remember was that it was a great hard work. And hence, for many, Behari Kebabs is a delicacy to be eaten in restaurants, as cooking them at home is very cumbersome. I too believed so, till once, I thought of experimenting them in the convenience of my kitchen, in the electric oven. I made them with wooden skewers, and the first attempt wasn’t bad at all. Second time, it was for a dinner party, and the guests could not believe they were homemade, till my husband showed them the oven, tray and the wooden skewers on which they were made. I moved on, more confident. Got custom made, iron skewers that fit my tray size in the oven. As I have moved cities, these iron skewers have obediently moved with me too. Warning: Instead of red meat, I make them here with white meat, and instead of a charcoal grill, I grill them in an oven. Nevertheless, can assure you, they are a different delicacy in their own right. Spices: Cumin, coriander, and red chilli powders, and salt to taste. All the ingredients except the chicken breasts are made into a paste in the grinder. 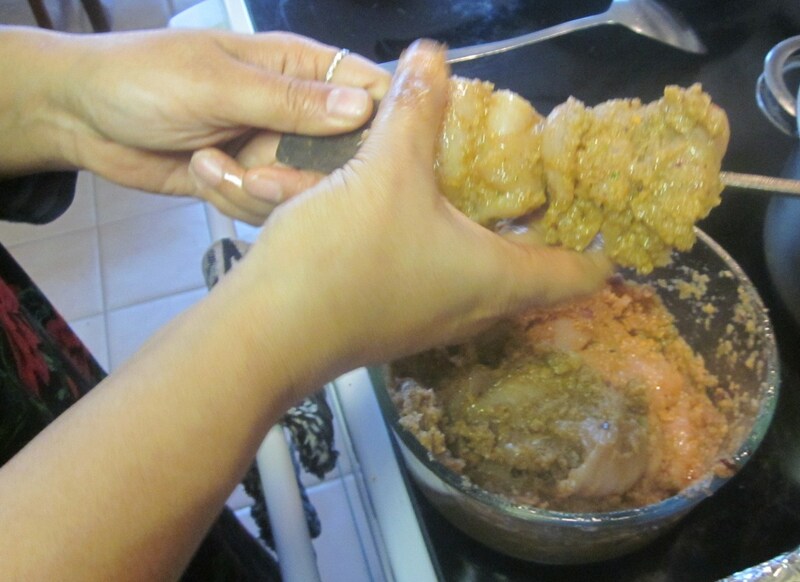 Pour the paste into a wide bowl, and mix in Mustard oil. 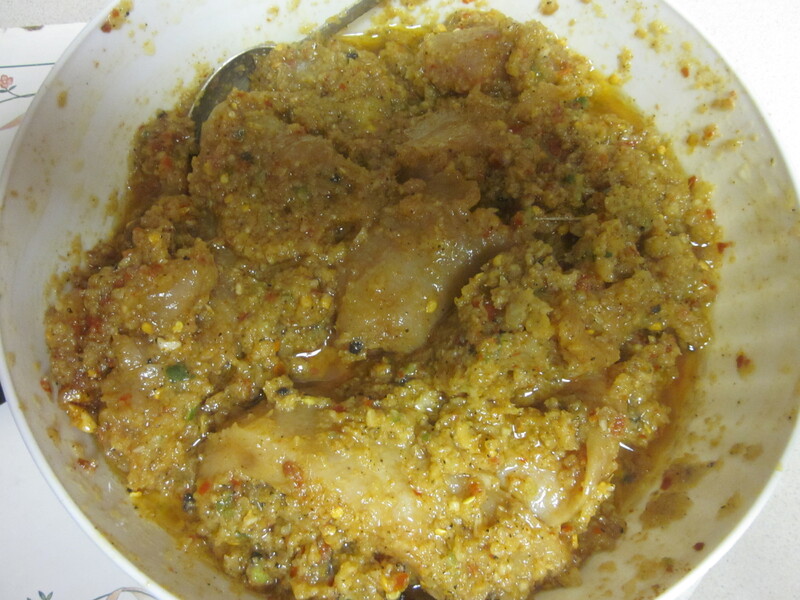 Add the chicken fillet in the paste and marinate them for preferably overnight to 24 hours. 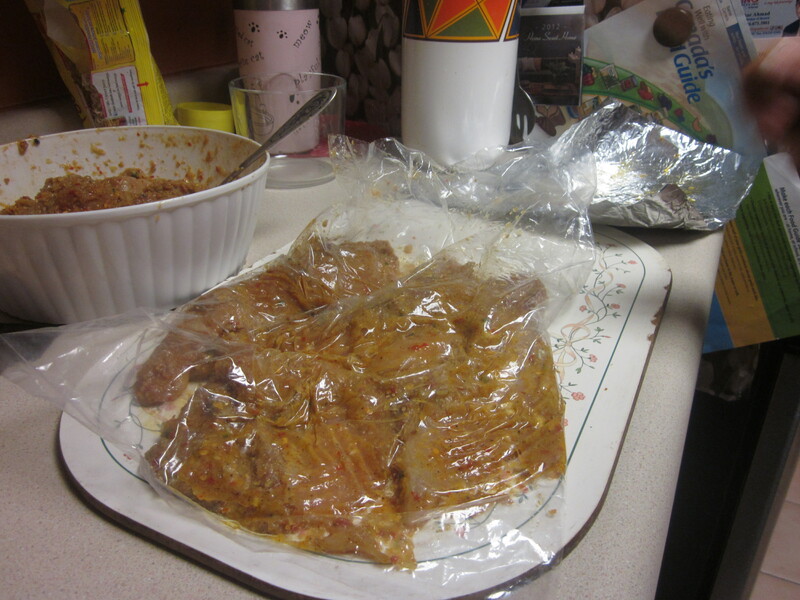 As they are ready to be cooked, spread out each marinated fillet inside a plastic bag, one by one. 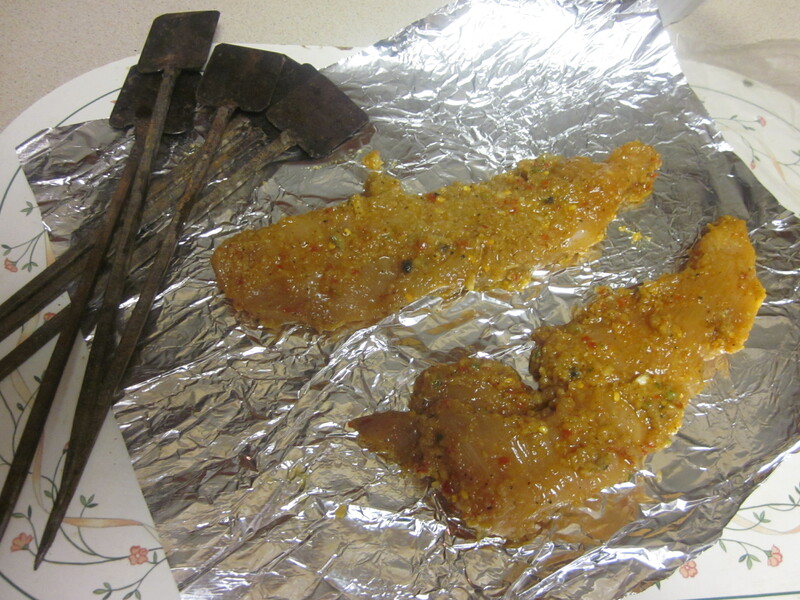 Once arranged 4-5 fillets, fold to close the open end of the plastic bag, And pound them with a wooden pound to make them softer, and such that the spice paste seeps into the fillet..
Take them out of the plastic bag, one by one, to mount on the iron skewers. 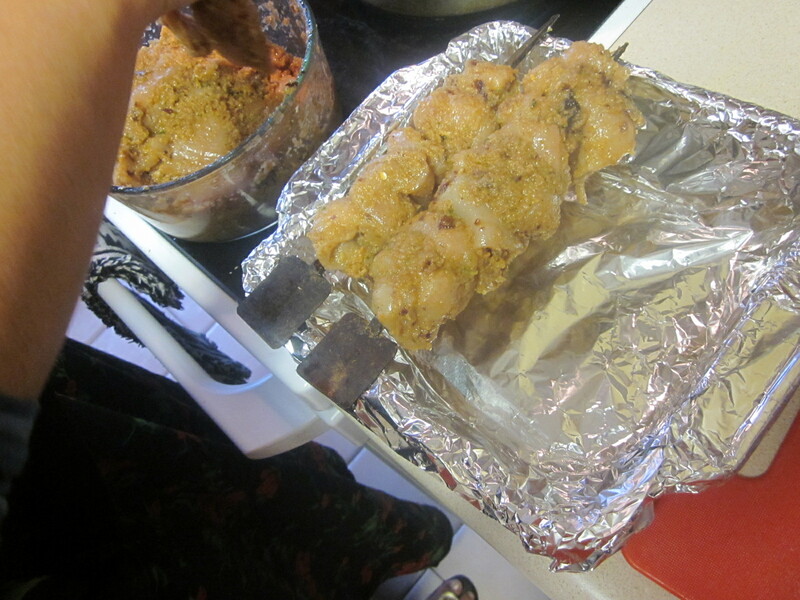 My skewers seen here are about a feet long, specially made to fit my baking tray. Mount the fillets on the skewers, piercing the iron rod, through the flesh of the fillets at 2-3 inches apart, then gathering them closer. Arrange the skewers on the baking tray adjacent to each other. When completed, place them in a preheated oven, at 225 degrees C for 30 minutes. Once ready, place a burning coal on the side of the tray, and douse it with oil to bellow smoke. 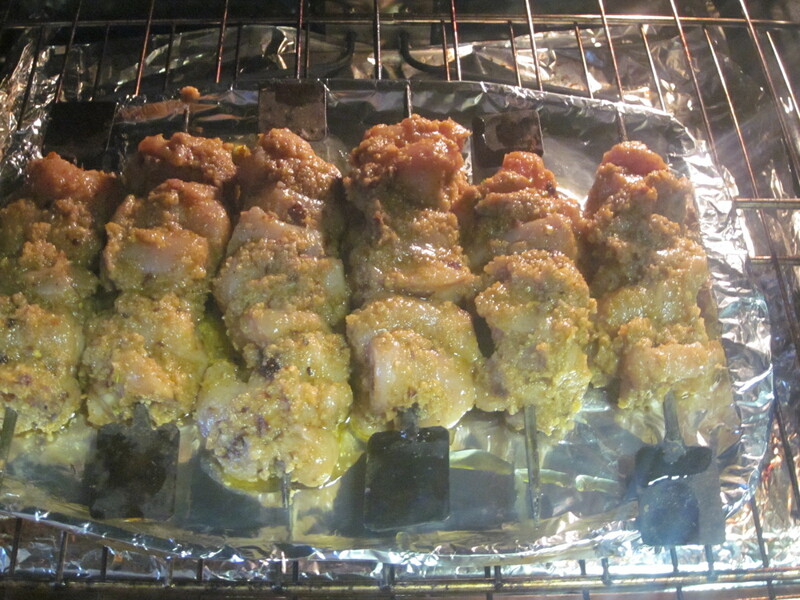 Cover the tray, and close the oven, immediately, for the smoky aroma to be absorbed in the Kebabs. 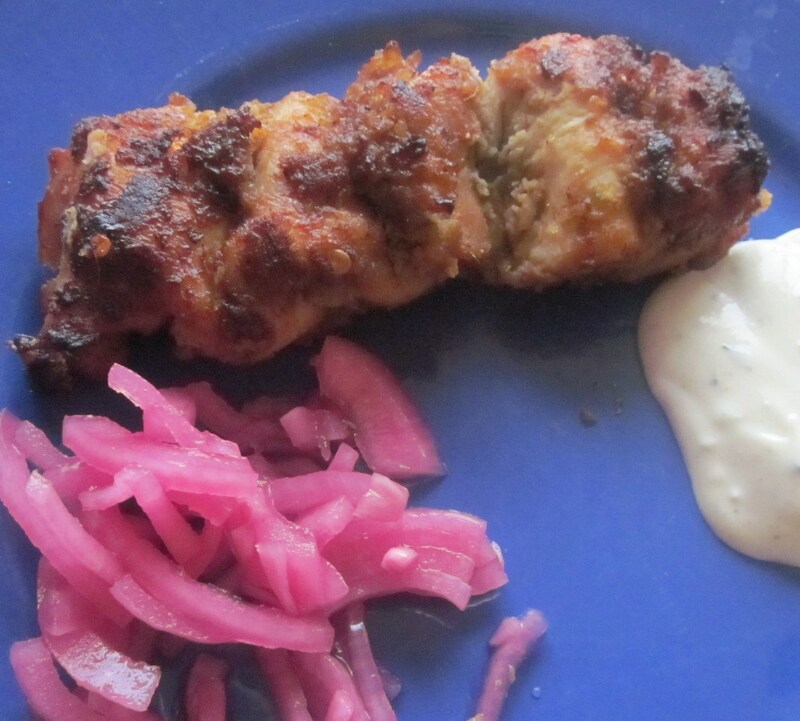 When ready, serve them hot, with pickled onions, yogurt sauce and chutneys. Naans and parathas go equally well with these Kebabs. The children are fond of taking the left overs to school, rolled in a naan as Kebab rolls. trying to speak to you. “How pure, soft, different are we. This is a story from my life and dreams, in three short episodes. Time: 8AM on a lazy Sunday. 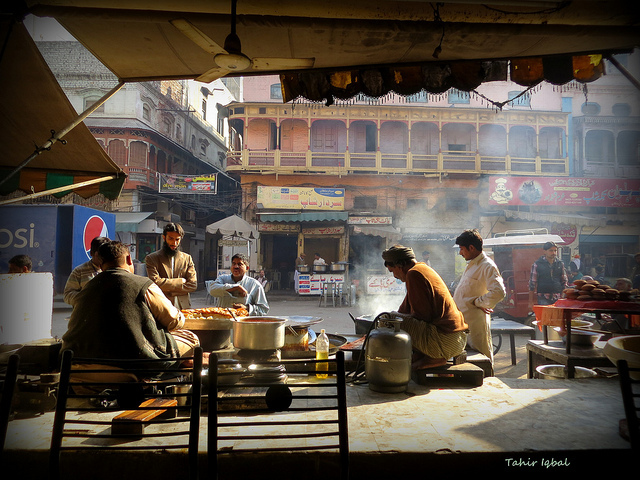 Within 10 minutes we were on the PEACE ROAD to Lahore, and just an hour later sitting in Gawal Mandi under the open skies in a mild cold breeze, as my husband was ordering two plates of Paaye Naan with doodh-patti chai. Time: 1:00 PM Lunch time in the office with friends. Thursday evening, we pack our small trolley bags, and off we are, on Friday morning in the PEACE TRAIN from Karachi to Jodhpur on Khokrapaar-Munabao Railway track. 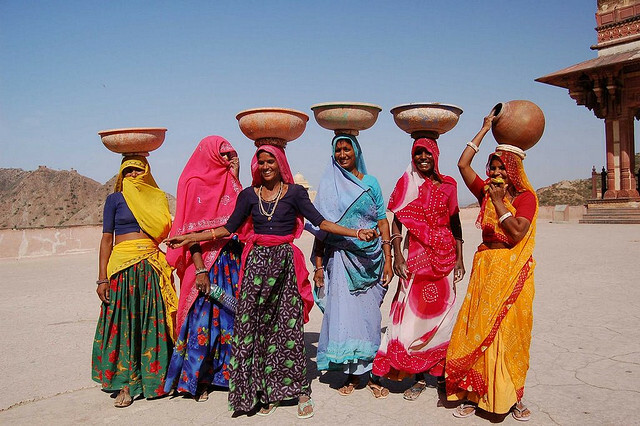 As the train winds through the golden sands of Thar Desert, we see Thari men and women in their colorful clothes busy with their daily work. A group of women stop by, turn at us and wave back at our train. In 5 hours we are in Jodhpur. With a shopping spree all Saturday, on Sunday morning, we set off with loaded bags, on the train back home. Location: Mississauga, ON , Canada. Time: Early morning on a cold Saturday on a long weekend. “Winters are depressing, Are we going to spend all three days sitting in the home in front of a fire place?”, my husband. “No, we can go to America, to have an ice cream in -20 degrees C.” I remark sarcastically. The idea hits home. 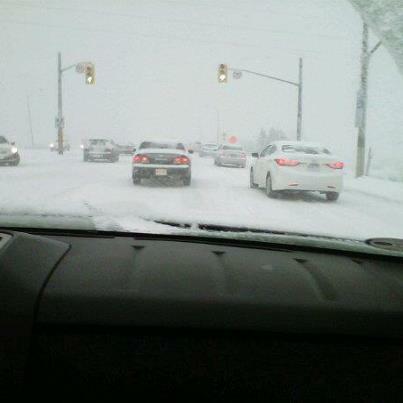 And in 5 minutes, we were on QEW Highway heading down South and East to Buffalo. 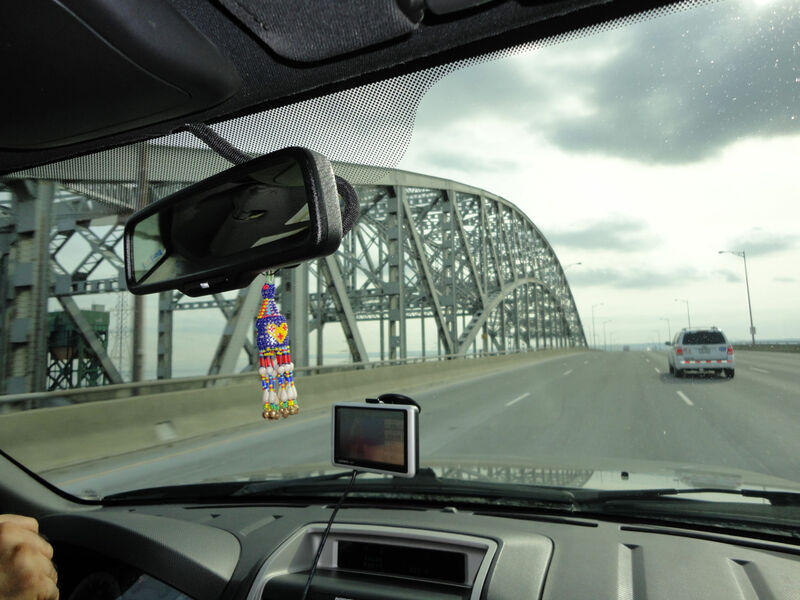 In an hour we were at the border, and 8 minutes later, which included clearance from the US Homeland Security of our Pakistani Passports, we were on the PEACE BRIDGE, built over Niagara River, between Fort Erie ( Canada) and Buffalo ( USA). In two hours after a lunch and an order of cheese cake, we ere driving back home to Canada. Do the stories sound wierd? Indeed, for many across the world, such adventures are normal. They travel cross countries which even speak different languages( as in Europe), without much fuss, just for a cup of coffee or even go to work across border. As you may have guessed, only Episode THREE was a real one, while the Episodes ONE & TWO are still far fetched dreams. The fact that Peace Bridge is a reality, it hurts even more to know that Peace Road or Peace Train have to still remain a dream, a far fetched one. They do occasionally become a reality, but for the VVIPs (only). For instance, when one fine weekend the Head of the State on one side decides to go to the other side for a visit to a shrine, or for a cricket match. But it still remains a dream, and a forbidden one, for the ordinary. Even when the ordinary have relations, loved ones or friends on the other side, all they are entitled to is to dream like the way I dreamt in episodes ONE and TWO. I know of a true story of a friend, who planned a year in advance to be with her parents, on their Golden Jubilee Wedding Anniversary. But the visa did not arrive on time. And when it did arrive, 15 months later, her father was in the hospital, struggling for life. She fortunately made it, to see him, and then he passed away two days later in her arms. She felt fortunate to have met her father, and held him in his last minutes of his life. This wasn’t her dream, but a true story. I cant even call myself that lucky. I reached two days after my father was buried. Now I dread for my ageing mother. May she live long, and every time I part with her, I wonder in what circumstances would the next meet be. Would it be possible at all or not? With months of excitement about the much publicized NEW VISA REGIME, I had anxiously awaited ( and tweeted) for the arrival May 25, 2012, when the document was expected to be signed. But it was postponed in the last minute, by a Minister from Pakistan for ‘some’ reason I didn’t care to explore. For me it was a delay in realization of part of my dreams, for whatever reason-valid or lame. Finally in December, when the Ministers met in New Delhi, the agreement was sealed and signed. Alas, with no jinx, we apprehensively took a sigh of relief. But then, as feared, the tensions at LOC and the beheading incident put the implementation on hold. Again, the ‘not so big’ dream which had come so close to realization had again receded afar. The dream to cross the Indo Pak Border is not for Nihari or for a Saree. We can get it on the same side of the border too. They are simply the symbolic magnets of common love and heritage, that the ordinary people on both sides have not been able to ignore, despite years of deliberately created rifts and barriers between them. Some have outrightly called my Nihari-Saree dream as cynical one, but when few millions ordinary citizens between the US-Canada or within the EU can see this as a reality, why cant the 1.4 billion( a seventh of humanity) across India and Pakistan? When 3 wars, and countless hostilities have not resolved the differences why can’t peace and cooperation be given a real chance? Like every sovereign nation, India and Pakistan too have the right to ensure, that no miscreants are let to cross the border, but why should the whole population of wellmeaning people be held hostage to the whims and fancies of few vested interests? Let the people interact through easy Visa for the ordinary. Let prejudices whither and sanity & reasoning prevail. Please, let the people meet. Whatever IS will be WAS. The above heading is a Buddhist saying by Monk Ñanamoli. 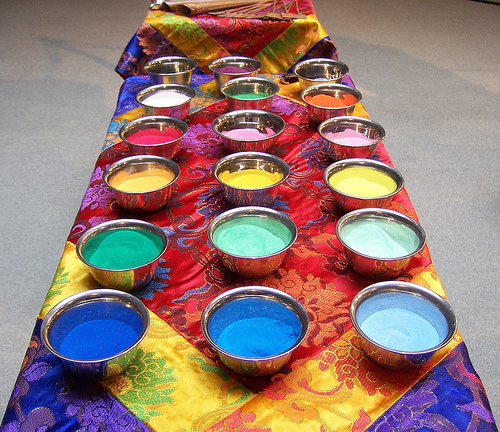 The in depth meaning of its essence could not be more powerfully conveyed than by an ancient Buddhist ritual called dul-tson-kyil-khor ( Mandala of colored powders). 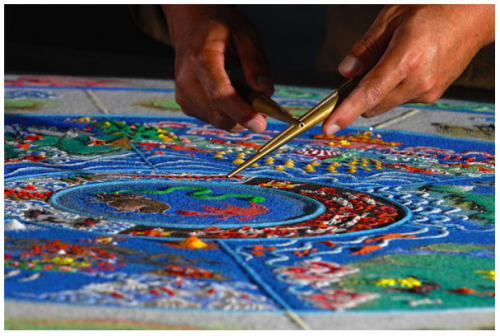 Sometime ago in search for an idea for silk painting I accidentally bumped into a beautiful handmade creation, which in first hand looked like an intricate colorful geometrical design, called Sand Mandala. As the name implies, it is a creation made from colored sand. Mandala means a palace. There is much more to it than the eyes can see. From the Tibetan Buddhist tradition, this is not just a creation of a beautiful sand castle, but a spiritual journey, for which requires a great practice and meditation before embarking on it. Even during the creation , which usually requires 4 monks (bhikkus) who keep chanting hymns and focus all their minds and actions into its creation. 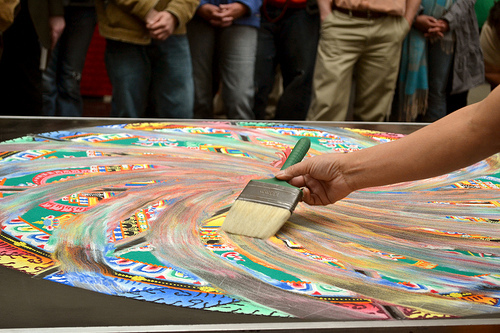 The sand mandala for them is a three dimensional Palace of Imagination in which they enter, and each dot, line, shape and color that they create in it stands for a specific aspect of Buddhist Philosophy. 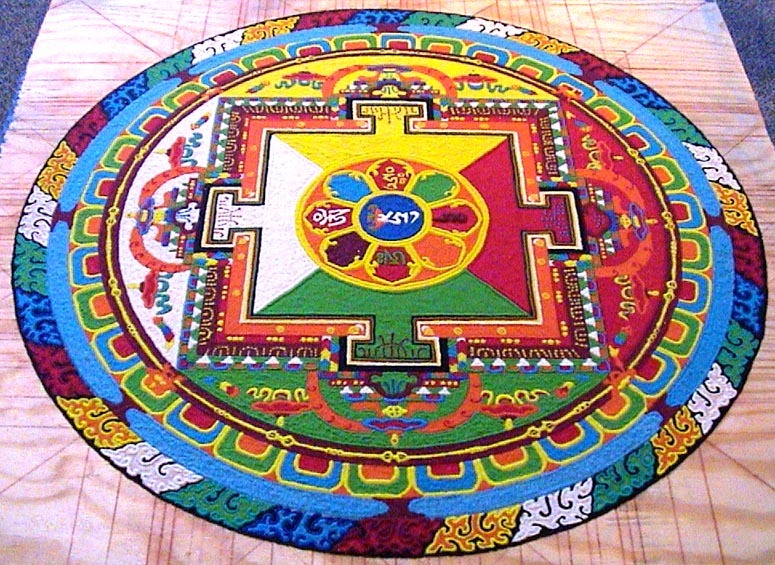 There are many types of Mandalas, and each stand for a unique symbol. The creation has to be accurate, and the work between the 4 creators, working on each quadrant, has to be well coordinated. Billions of grains of colored sand powder are carefully and accurately placed in its specific location, using two copper conical pipes called chapku, which are gently tapped over the other, to release controlled amount of sand. The colors for the painting are usually made with naturally colored sand, crushed gypsum (white), yellow ochre, red sandstone, charcoal, and a mixture of charcoal and gypsum (blue). Mixing red and black can make brown, red and white make pink. 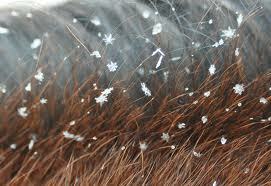 Other coloring agents include corn meal, flower pollen, or powdered roots and bark. In the ancient times they used colored dust from the lapiz lazulli, emerald, ruby, and corals and other precious stones to get colored dust powder. It takes from few days to few weeks to create a mandala. However, the most mind boggling part arrives when the whole intricately built sand mandala is undone ( yes, you read it correct), from outside-in in a rotas wheel movement, never to exist again, by the very monks who created it. This metaphorically implies the impermanence of things. Hence, when even at first look it appears to be an end of a creation, but in the real sense, nothing is ever destroyed forever, just that it is returned to the nature, to rejoin elements. And this does happen to all animate and inanimate objects on earth, be they complicated humans, simple plants, soft clouds or even lofty mountains. Uppajjitvaa nirujjhanti — tesa.m vuupasamo sukho. Ik din aisa ayega main rondoonga tohe. (The clay says to the Potter: What will you maul me, a day shall come, when I shall maul you). Duniya Fair Mitti Di Dheri. (O people, why be obsessed with me, mine. Its neither yours nor mine. Its for a while, then we all shall be but a pile of dust). Indeed, “from dust we were born, and to dust we shall return.”.